Updating furniture and other utilities in the kid’s bedroom is necessary and greatly depends on the needs and present fashion. For instance, a master bedroom includes bed, dresser, closet and many more. 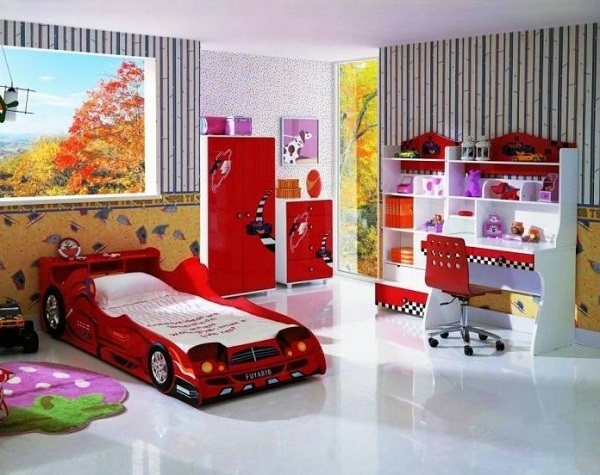 In a similar manner, children’s bedroom also requires various collections of items in different sizes and colour. One of the main items for the kids’ bedroom is the furniture. Also, buying furniture for kids online is a bit difficult task. There are various problems which you might face at the time of online purchasing of furniture, like whether the furniture is of good quality, is the size which you required is correct, whether the furniture is from modern world of bedroom furniture, etc. Here are some of the steps which help you out at the time of buying furniture online. Use the local furniture shops to collect the information regarding the item you want to buy for your kid’s room and then look for the same option online. Most of the retailers shop spends their large amount on the floor in the form of rent, which ultimately leads to hike in the price of the furniture. 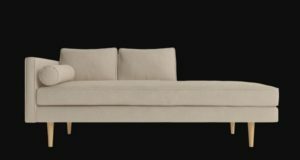 On the other hand, online furniture save your amount and such online sellers pass on this amount to the customer in the form of discounts or off season sale. Every person has his or her own opinion on the same matter. Select your style which you want to pick up for your child. According to the space available in the bed, you must have a rough idea about the size of the furniture. Also take into account the number of kids who are going to use that particular furniture. For example, if you have two kids then buying a king-size bed is good option. There might be a possibility that the site which you choose to buy your kids furniture online is fake or a spam, as we call it. Select the most reliable site as they are best at various parameters like comfort, material, prices, etc. At the time of selecting the furniture online, keep your elder child asides to you. But make sure to be firm and say no if the kid wants to buy the furniture that looks funny. Discuss with him or her on various pieces and feature. Select the furniture item first and then look upon the matching colour available to you. Select the furniture wood that matches your kids’ bedroom. Choose color theme wisely while buying kids furniture online. Specifically, if you are going to buy chairs then look for safe furniture that will hold your child. Also, look upon the fabric as well as the kids will be going to jump on it and you have to clean it at regular intervals. Specially, if you have more than one child than going in favor of the furniture that lasts forever is good. You can also plan to reuse the furniture for your next child. Keep an eye on all the details of the furniture item and check upon the area to ensure that it will well suits at your kids bedroom. There might be situation arise that you do not like the furniture when it finally arrives your place. You should have an idea of returning policy if in case you wish to do so. 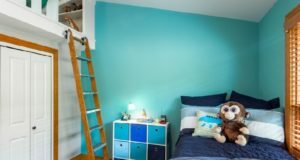 Choosing bedroom furniture for kids can be tricky, especially for a newbie, as there are options aplenty and you can easily get confused about which ones to buy. However, thanks to Home Decor Buzz and their blog post, the task of finding kid’s furniture has never been so easy. As mentioned, there are a number of factors that need to be considered when buying kid’s furniture. Once you have taken all this into account, settle for the one that suits your child’s taste and preference.